A world champion barrel racer, Marlene has been riding or showing horses since she was six. Inspired by Dale Evans, Marlene wanted to be a cowgirl and ride horses. 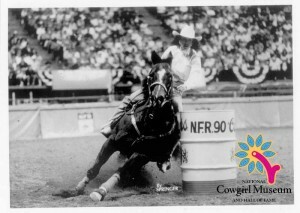 Entering her first Little Britches rodeo, she began a string of championships that includes two gold medals from the 1988 Winter Olympics. A talented musician, Marlene decided in college to turn all her energies to rodeo competition. She continues her involvement with riding clinics and endorsements.